In this last document on understanding poaching part 5 I’m going to explain the other side the increasing demand for Rhinoceros and Elephant poaching and why demand is colossally raging out of control when in reality from recent surveys it has been proven that Rhinoceros horn and ivory to other animal parts are not actually being used to such a high degree anymore for medicine but rather consumption and religion/cultural beliefs or gaining what our once ancestors had within Asia. 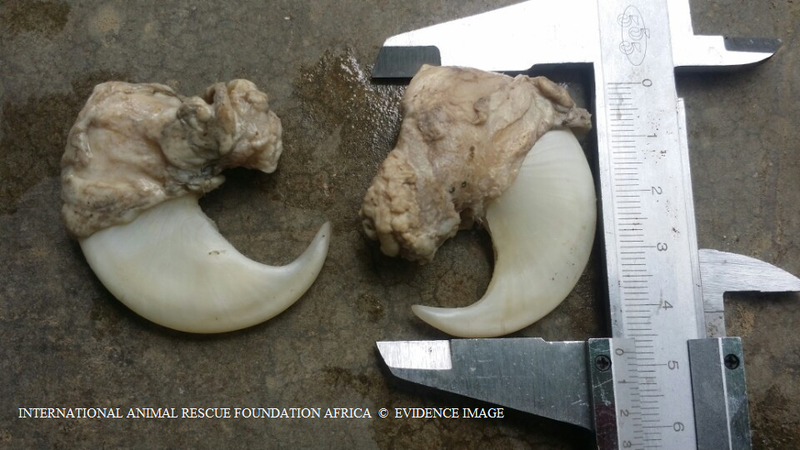 Since January 2011 we have been monitoring other arrests that are related to Rhinoceros horn and ivory to try and ascertain other areas that we may have overlooked. 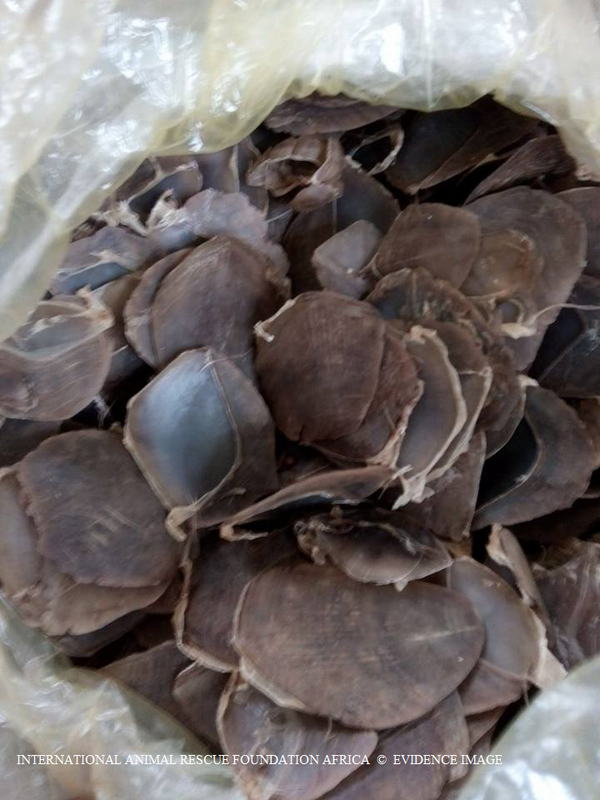 These areas that we covered where in the regions of Hanoi and Saigon, and most districts of China, the two regions of Vietnam that I have identified is where most Rhinoceros horn is actually sold, however within China it’s sold all over as a whole. 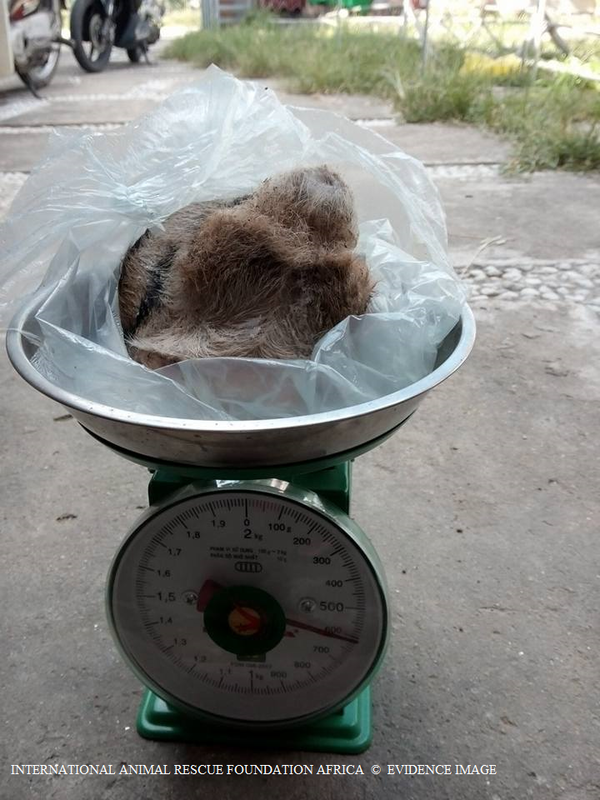 The results were somewhat worrying that showed the levels of Rhinoceros horn in Vietnam are in fact very low, which confused us, based on the usage levels from 2012 surveys and how easy it is to actually obtain via classified advertisements, private marketers, to street vendors and the medicine markets. Coming as no surprise the majority of Rhinoceros horn is actually fake, meaning that we have now [petty criminals] deep within Asia as well as highly sophisticated criminals working within Vietnam that is seen on whole as the largest user and consumer of Rhinoceros horn and second largest trader in Elephant ivory and other animals parts. 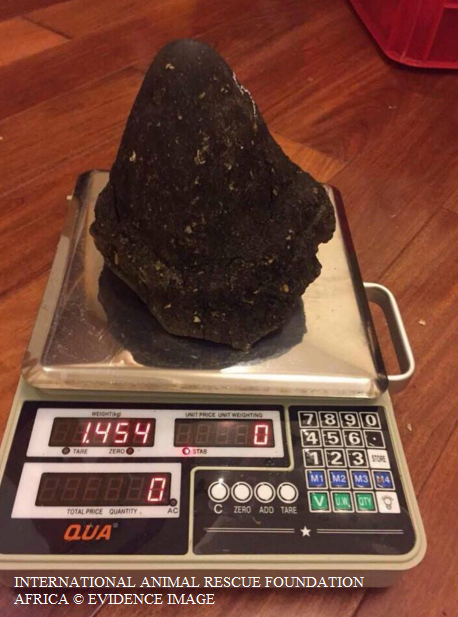 Records and arrest documentation within Asia have shown that 80% of Rhinoceros horn is non-Rhinoceros horn but chemicals that are made up of many different minerals, stones and Papier-mâché – French for “chewed paper”. 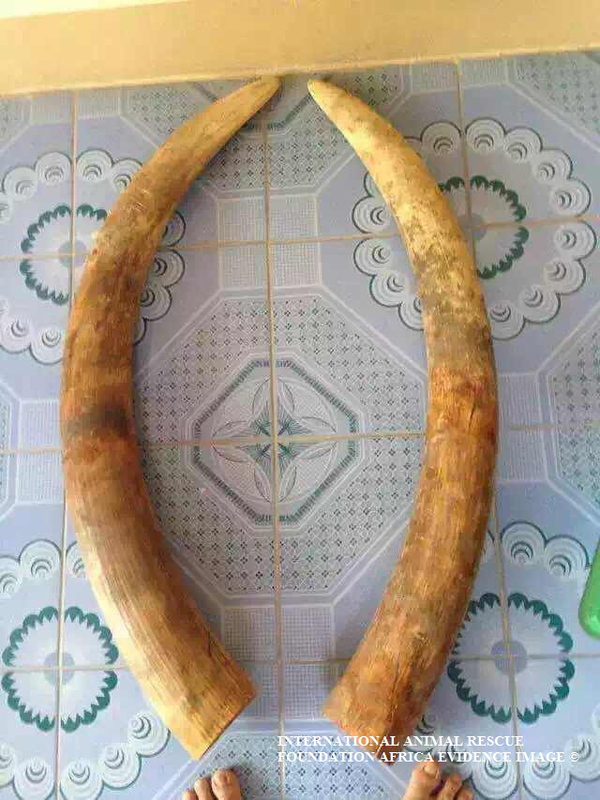 The fake Rhinoceros horns were so delicately and intricately produced and then polished that buyers of Rhinoceros horn couldn’t even tell the difference between the real thing thus handing over thousands of Vietnamese dollars just for the [petty criminals] to then vanish leaving the [lucrative black market] trader some thousands of dollars out of pocket. 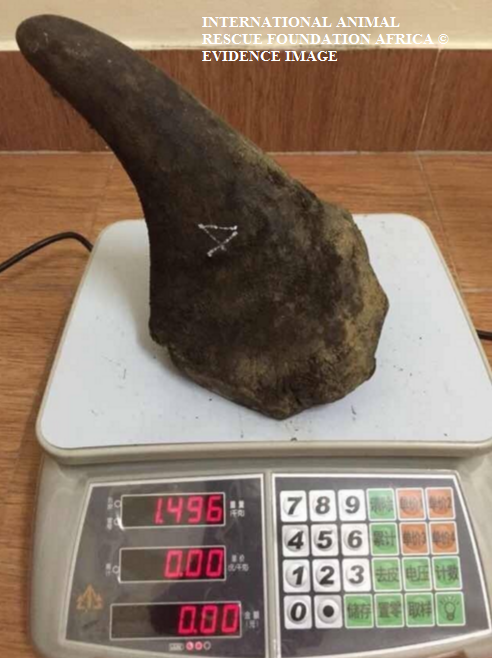 Rhino horn smugglers are now making very high quality fake horns, allowing unscrupulous hunters to sell the real horns at a huge mark-up to black market dealers for traditional medicine/and/consumption to status symbols. The fake horns are made with top quality resins and look so authentic that they are almost impossible to distinguish from the real thing, a report presented this week to members of the Convention on International Trade in Endangered Species quoted CITES officials have been alerted to the increasing involvement of professional hunters in the illegal rhino horn trade, this is yet another reason why international Animal Rescue Foundation © is working towards a full moratorium on hunting due to vast corruption and fake horn sales. Trophies are exported to hunters after a legal hunt, but once the hunters have received the trophies in their home countries, the original rhino horns are removed from the trophies and replaced with fake horns. 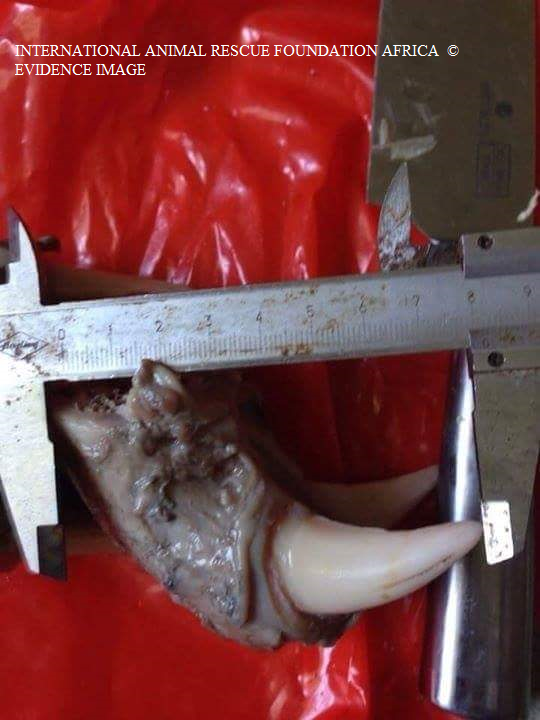 Our investigations teams have within the last four weeks located many traders that are selling trophies “on mounts” and off mounts of which it was clearly visible that the real horns had been removed, to even one trophy quoted as “recently hunted” [Northern White Rhinoceros] even though it had been pushed to extinction within the last decade, the so called antique’s horn was even placed pointing downwards and what looked like [glue] around the base of the horn [indicating that the real horn had been removed and a fake resin horn had been placed on the trophy. 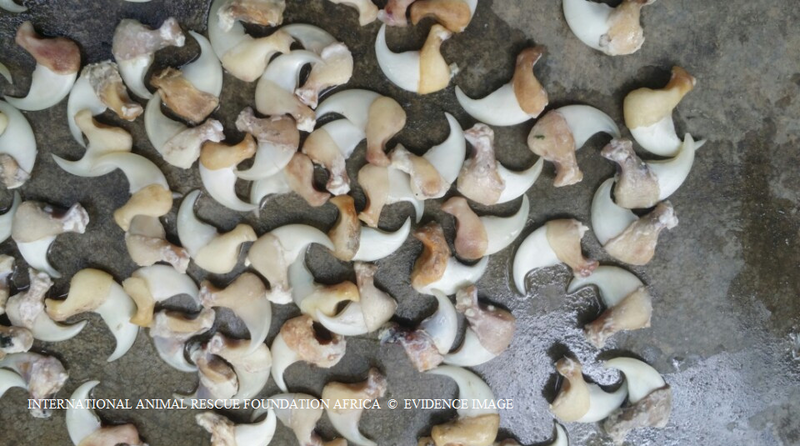 CITES did not specify in which country the fake horns were being made and sold, but details in the report point to the possible involvement of either American or European hunters in the fake horn scam. As we ourselves quoted this “didn’t come as a surprise” as we know how many illegal yet fake narcotic sales are on the market, and with narcotics making gargantuan sums of money then the temptation to cash in on the (counterfeit trade) from petty yet skilled criminals is there and has been for some years. Horns are smuggled in via hiding them in statues to avoid detection. In 2012 wildlife investigators in the US arrested several American and Vietnamese nationals in a major bust in several cities across the US following the seizure of numerous rhino horns, some of which were suspected to have originated from legal rhino hunts in SA and other parts of the continent being mainly Zimbabwe that has only 700 Rhinoceros left within the country alone. There have also been a series of robberies from museums and private collections across Europe over the past three years in which the horns were stolen from mounted rhinoceros head trophies. 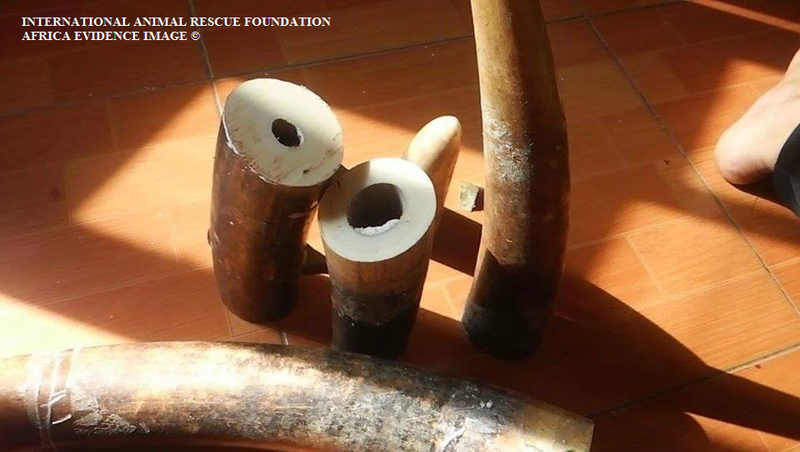 The fake horns were initially made with a mould and were relatively easy to identify, but recent reports from authorities indicate that fake horns encountered lately are made in high-quality resin with a density even higher than that of a real horn. This makes visual identification, once fully mounted, extremely difficult. But CITES officials have now found a way to smoke out the culprits (so they believe). Fake horns can however, be identified relatively easily by collecting and burning a small quantity of dust from the horn, which will deliver a distinctive smell indicating that it is not rhinoceros horn. 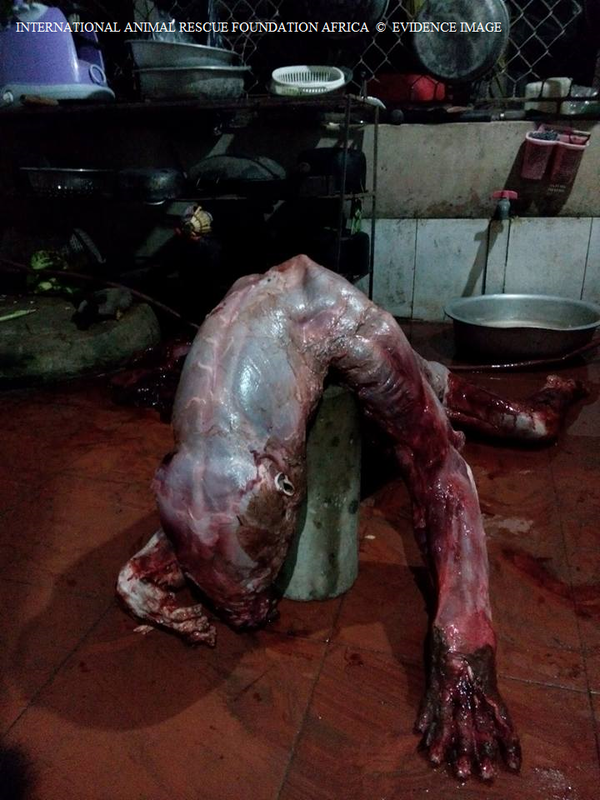 Even though CITES have stated this, the unscrupulous buyer that is purchasing on the back street’s doesn’t always have the time to examine the horns leaving them out of pocket by thousands of Vietnamese dollars. In the light of this new trend, it is of extreme importance that CITES parties should have adequate legislation and enforcement controls in place, to prevent horns that are part of legal exported trophies from being used for purposes other than hunting trophies, and to ensure that the trophies remain in possession of their owners. 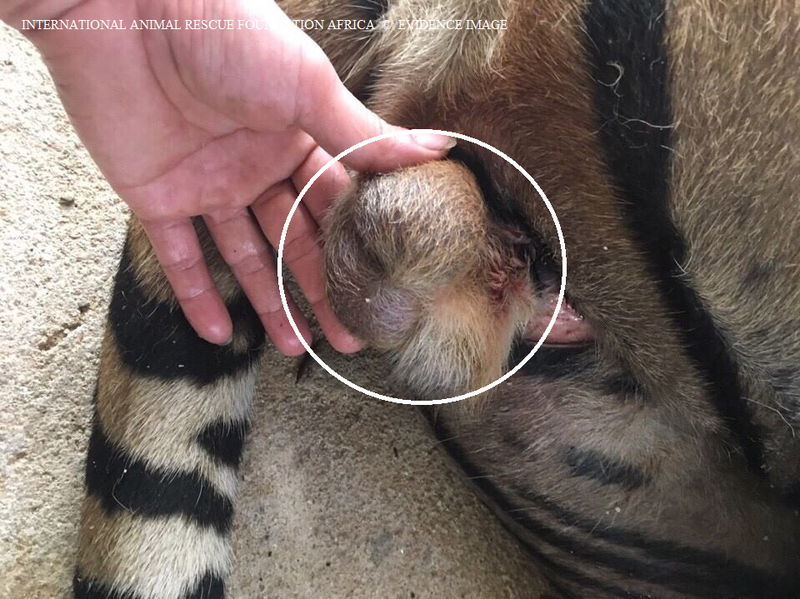 Another possible source of the fake horns is Vietnam, which has been implicated as the end destination of dozens of SA rhinos that were shot legally by Vietnamese poachers posing as professional hunters. However the Department of Environmental Affairs in  has now ceased this and Vietnamese hunters can no longer hunt or obtain a hunting permit for South Africa. 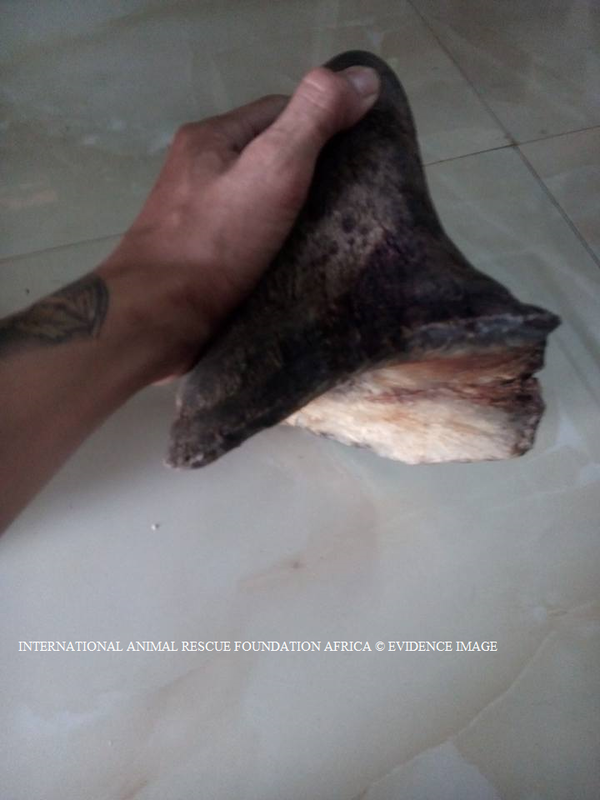 The report notes that Vietnamese authorities had pledged to conduct a stock-taking exercise to check whether SA rhino trophy horns were still in the possession of Vietnamese hunters. 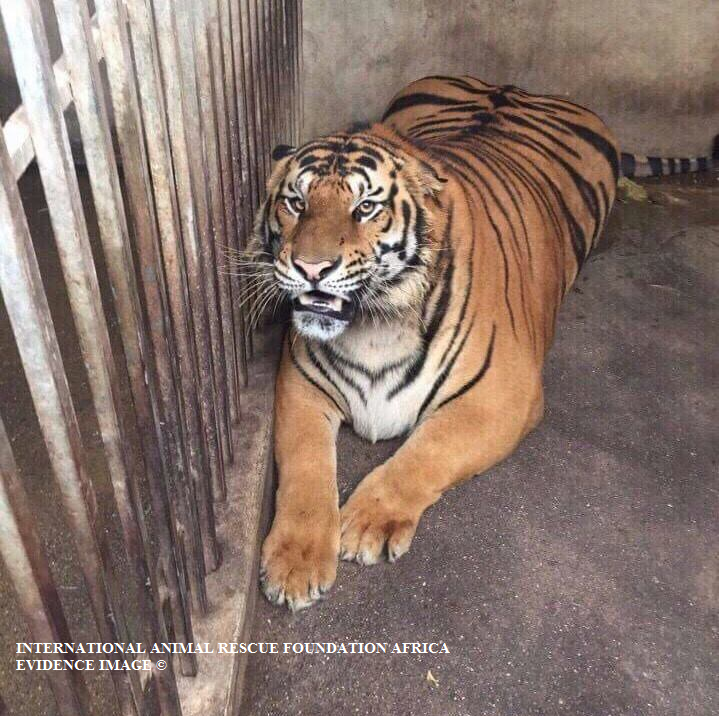 It is vital for the authorities in Vietnam to conclude this activity as a matter of urgency and to investigate fully all incidents where trophies are no longer in possession of the hunters. Such follow-up investigations can provide important information on the identity of the driving force behind the trafficking of rhino horn. 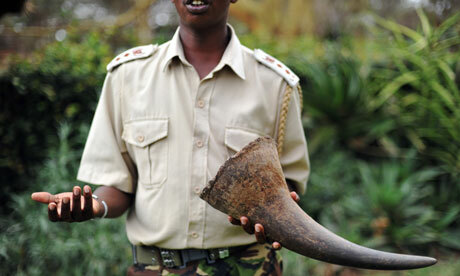 People who no longer had their horn trophies should be able to tell investigators who the horns had be sold to. This has yet to be acted upon and we are led to believe that it will never be taken seriously too. 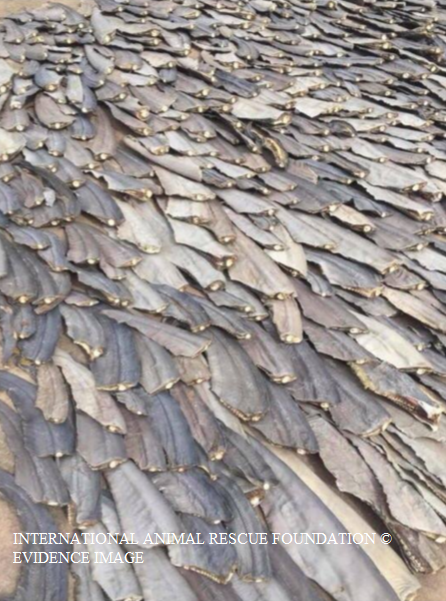 With all this evidence and knowledge though in the public domain and now known to the environmental law enforcement agencies the counterfeit trade is still on-going which in theory is driving the demand for obtaining the real horn up at increasing and alarming rates thus now threating the South African and African Rhinoceros species on a whole even more. The demand for rhino horn is so great in Vietnam that certain outlets are said to be selling imitation rhino horn made from cows or buffalo. 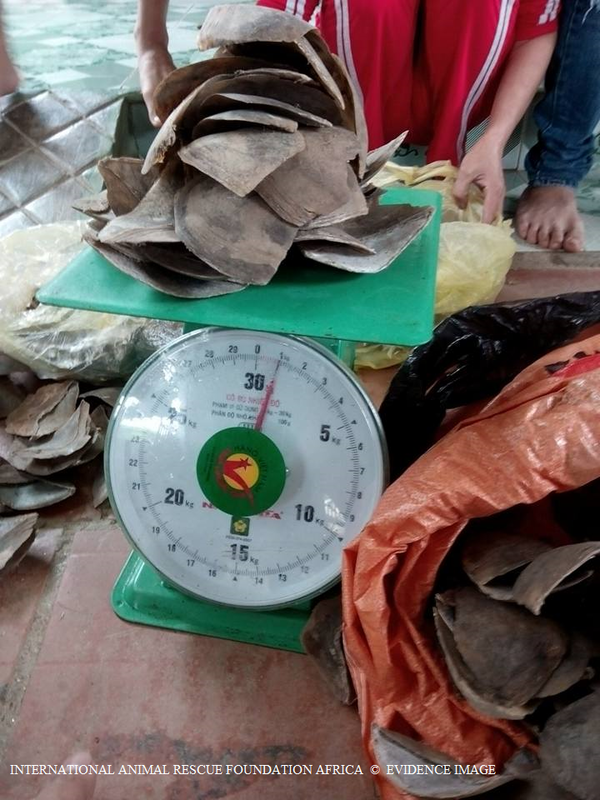 On the Vietnamese market, some sources report that a “freshly cut” rhino horn commands a retail price of USD $25,000 – $40,000 per kg. Imitation horns supposedly fetch a substantial price of USD $15,000 per kg. Contrary to popular belief, the manufacture and sale of “fake” rhinoceros horns does not flood the market and drive prices down. Instead, imitation horns keep the trade invigorated and the demand high. 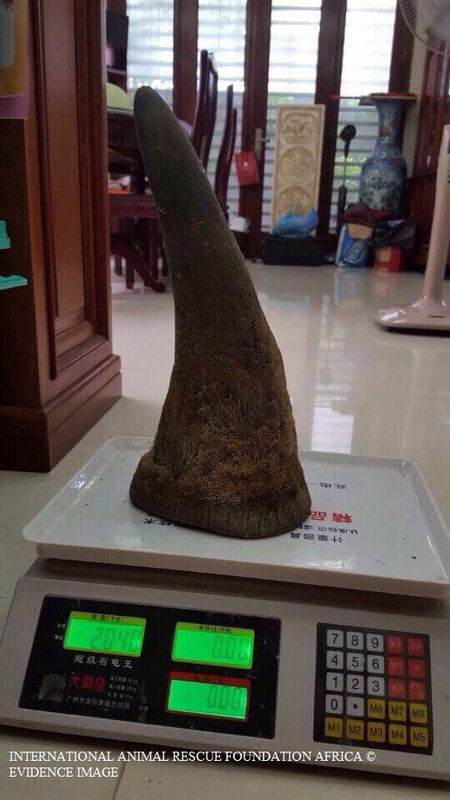 Regrettably as http://www.savingrhinos.org/vietnamese_rhino_horn_trade.html quoted and ourselves and CITES that until the demand is hit in every possible direction including the fake/imitation trade then we are going to view more Rhinoceros murdered for fake horn. It should also be noted that the Rhinoceros horn trade should never be lifted until all these avenues have been researched into more, investigated then illuminated and closed down that could cease the demand colossally. The problems don’t just stop at Rhinoceros horn nether the demand for fake ivory from which the “processed ivory can sell in the region of $25,000 to $100,000” depending on design is also on the rise and at worrying levels. Other animal tusks such as Hippo ivory or Walrus and even bones are all being traded off too as Elephant ivory which again is increasing demand thus keeping the barbaric and senseless poaching continuing on such a large scale that saw in 2011 some 25,000 Elephants slaughtered for greed and culture, 2013 has seen almost 200 Elephants slaughtered for their tooth’s [tusks] for the entire continent of Africa. 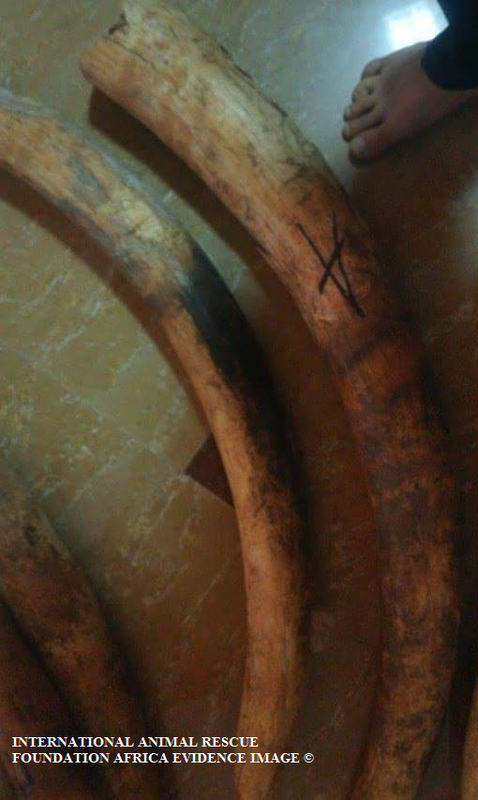 Examples of synthetic Elephant ivory can be seen when the bottom of the tusk appears to be sliced, but no grains or ivory identifications are clearly visible. The “cut” area of the imitation tusk is created when the item is removed from the mould. There will also be small holes from bubbles made in the moulding process similar to that of plaster or plastics. 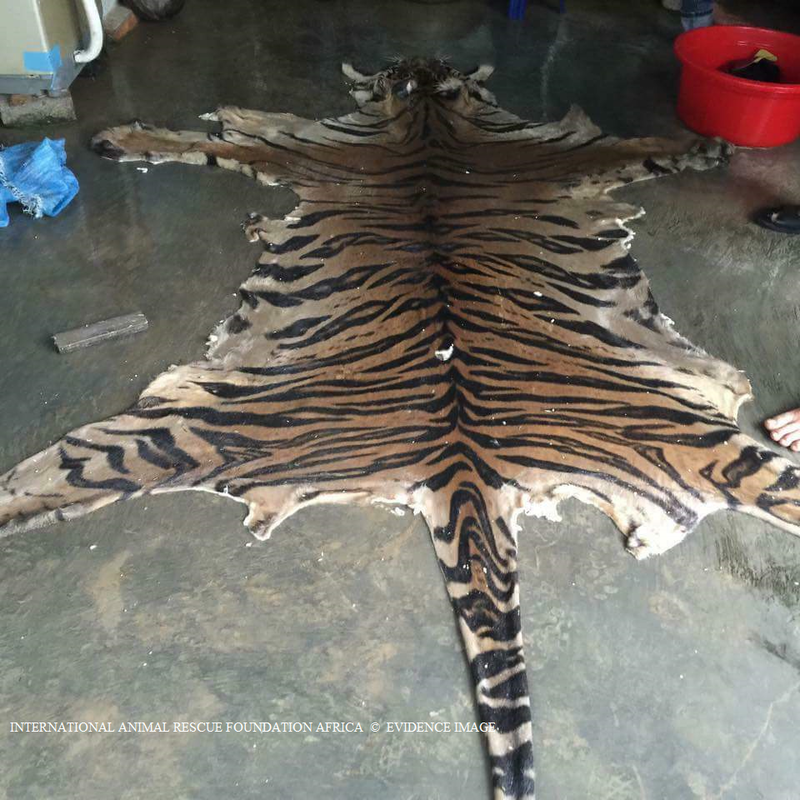 Wildlife internet crime is on the rise if we know your selling on the internet you will be located, and your details logged and you will face a hefty prison sentence or fine – this trader in India caught our eye last week one of many. Sadly though there are many skilled craftsmen within Asia that have worked in the legal and illegal ivory trade for some years before ivory trade was eventually banned in the 1990’s. To become a skilled carver too you have to pass a five year course which coincidentally is run and funded by the Chinese government. These craftsmen are so highly trained that sourcing the real Elephant ivory from the counterfeit is near impossible unless a DNA sample is carried out. Substitutes supposedly do not have the integrity of true ivory, and part of this has to do the growth pattern of ivory, called Schreger lines, which facilitates carving at any angle. So it seems the uniqueness of the material as a carving substrate, its beauty and its historic significance in terms of a rarity and prestige all contribute to the demand. Even flooding the market with fake ivory would not help to reduce pressure on living elephants. The prestige and appearance of the real article make consumers demand genuine ivory in exactly the same way as Rhinoceros horn trade. 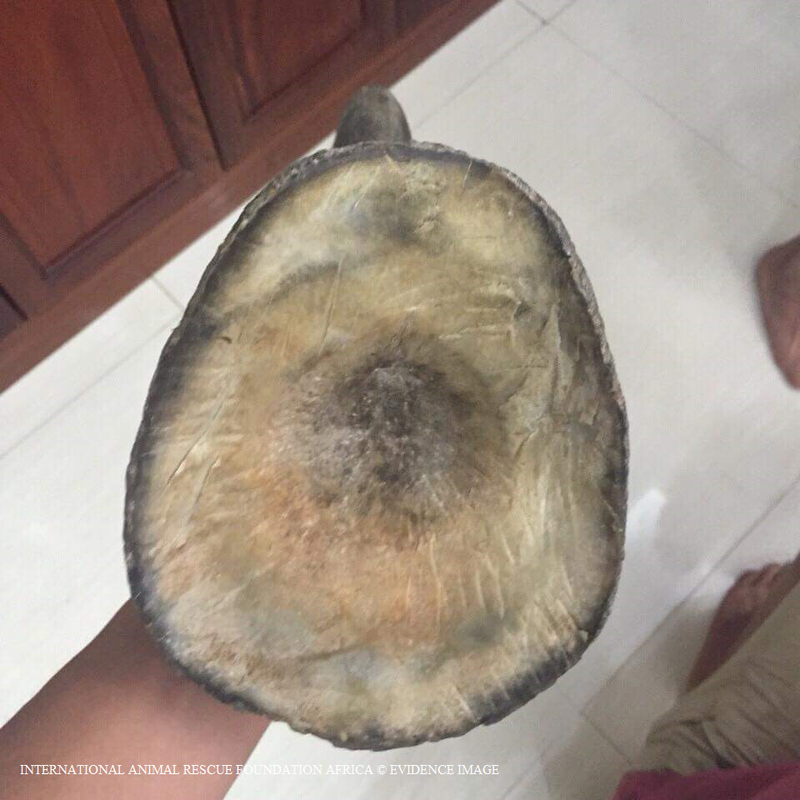 Many buyers of fake ivory and Rhinoceros horn will perform checks on the articles such as burning small sections to identify if the ivory is counterfeit however this is not always the case when the purchaser is presented with a $50,000 piece of crafted ivory or Rhinoceros horn at $75,000kg. 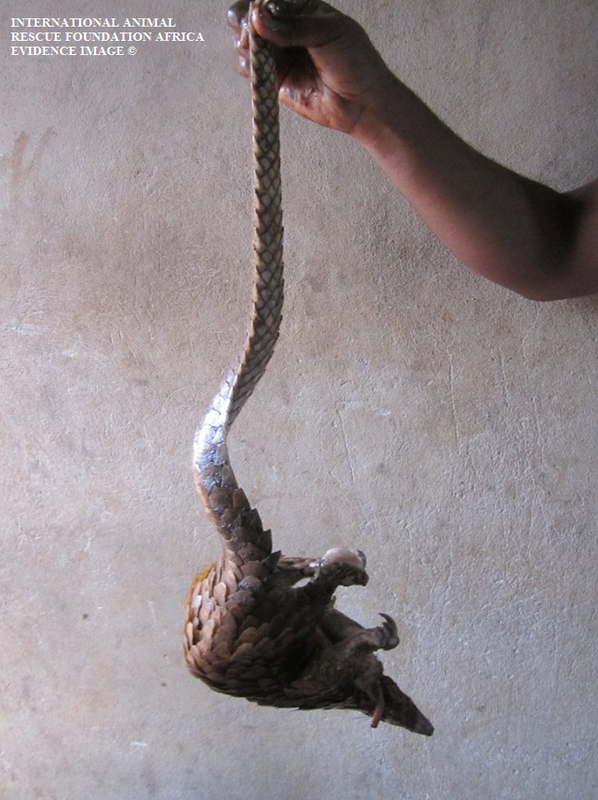 Would you as an illegal peddler allow someone to take a lighter or blow torch to the product and then [possibly damage the product] ruining months if not years of crafted ivory to damaging a Rhinoceros horn that [could indeed be real] you could be landed a hefty [illegal bill or even shot dead]. So how do we tackle the problem and what other areas can be looked into to tackle increasing sales to decrease demand? Secondly we could ask CITES and governing environmental agencies to work on implementing a full ban on all Rhinoceros and Elephant hunting to reduce the market even more. This would also decrease the potential for any mounted trophies traveling into Vietnam illegally from other nations thus reducing demand on a whole. Online sales need to be tackled and by doing this I.S.P [Internet Service Providers] need to enforce now tougher regulations such as banning Internet Protocols from their sites thus cutting the trader and/or criminal of from the internet. Environmental agencies must share this information with other ISP providers so if the criminal/trader then located another ISP they would be immediately banned as the IP address being that “your personal computers number” would not be able to locate the internet based on shared intelligence. The same ruling must more or less apply to all E-mail providing companies of which should they notice the same IP logging on based on shared intelligence then the email provider does not provide thus communicating with wildlife and law enforcement agencies of which the individual can be monitored by all means of online trading. When traders are located selling and buying on the internet law enforcement agencies must introduce tougher penalties to now ban the trader from using any form of internet communication device, computer, laptop, internet café, mobile phone, proxy servers. A confiscation order must also be introduced of all communication equipment of which is then subsequently crushed if illegal online activity is noticed. 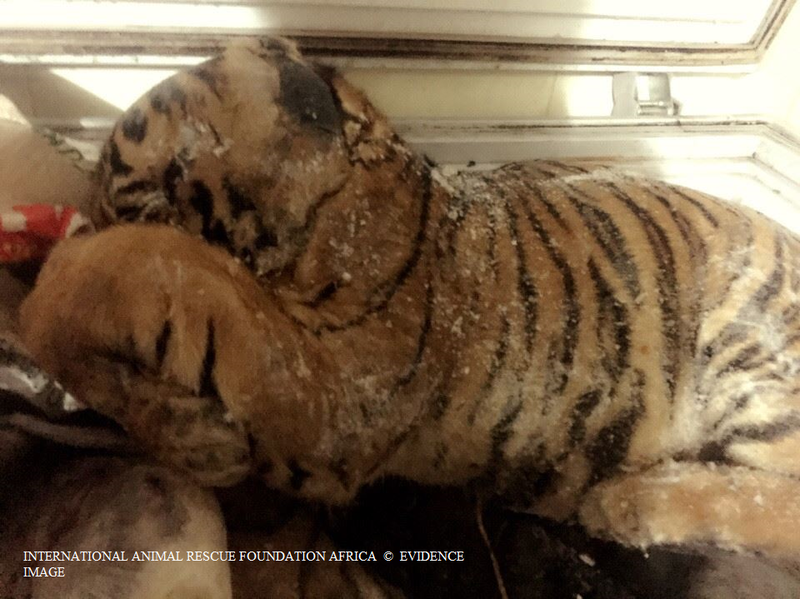 Online classifieds must now be given a three count rule then banned we have located now many American, African, Canadian, European, and Asian buy and sell sites that are still not checking the sites accordingly for illegal wildlife trade. 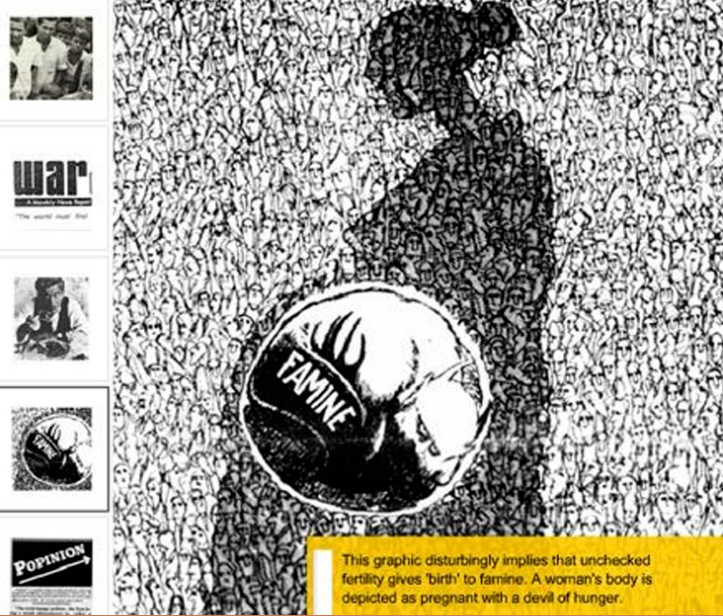 By enforcing such measures of which should they flout three times then the sites are automatically shut down or censored. 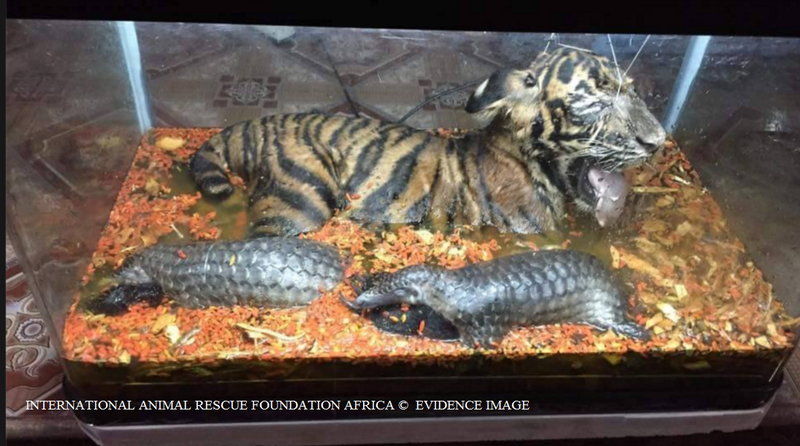 Since Operation Trojan Horse began  part of the International Animal Rescue Foundation’s © environmental counter intelligence ground and monitoring research team exactly 175 Asian, American and European sites have been noted with 69 off them sites communicated with thus informing them of the environmental laws both on line and on the ground. 34 of them sites where shut down from the 175 located and eavesdropped on with the remaining still under investigation of which we are communicating with law enforcement agencies exactly what they are providing, advertising, to the whom the buyers are and what other web of communications the buyer[s] have such as the black market, couriers, poachers, social media and other. Would the consequences of a complete ban on hunting then impact on job losses and liquidation of companies thus increasing anti-social behaviour, crime, increased poaching, and poverty, suicide, to effecting child and adult education? The demographics of South Africa encompass about 50 million people of diverse origins, cultures, languages, and religions, this is based on the last census of  with the next census not due until the years between 2016-2021. 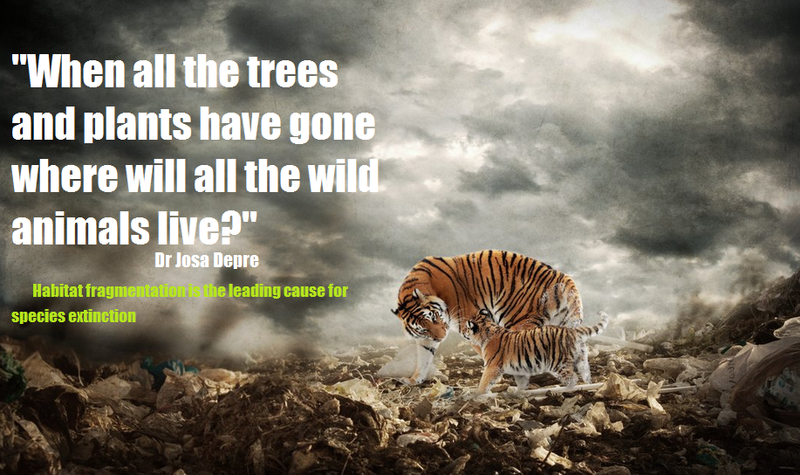 Every minute within South African alone there are 10 children born every minute thus increasing populations which has a detrimental effect on natural habitat pushing more species out of their natural living areas. 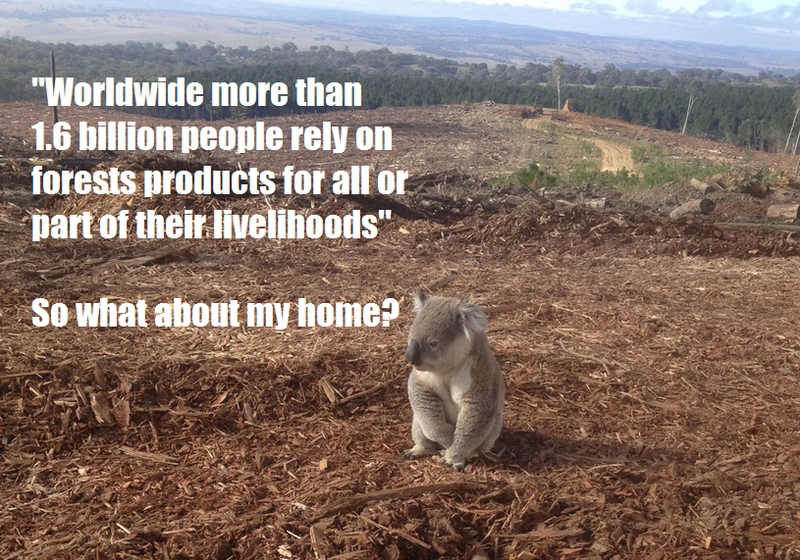 By implementing a complete moratorium would this then have a knock on effect on species that are so tightly packed within areas they have been pushed into via habitual destruction that agriculture and homeland would be consequently invaded to even placing human life at risk and destroying crop? By placing a moratorium on hunting for the species of Rhinoceros and Elephant in South Africa would this increase poaching of other species thus introducing another trend to the black market thus starting a new destructive circle of? Would a full hunting ban increase what we are seeing now botanical poaching thus reducing near threatened endangered and criticality endangered species of plant and trees that human and animal life depends on? newer poaching trend. 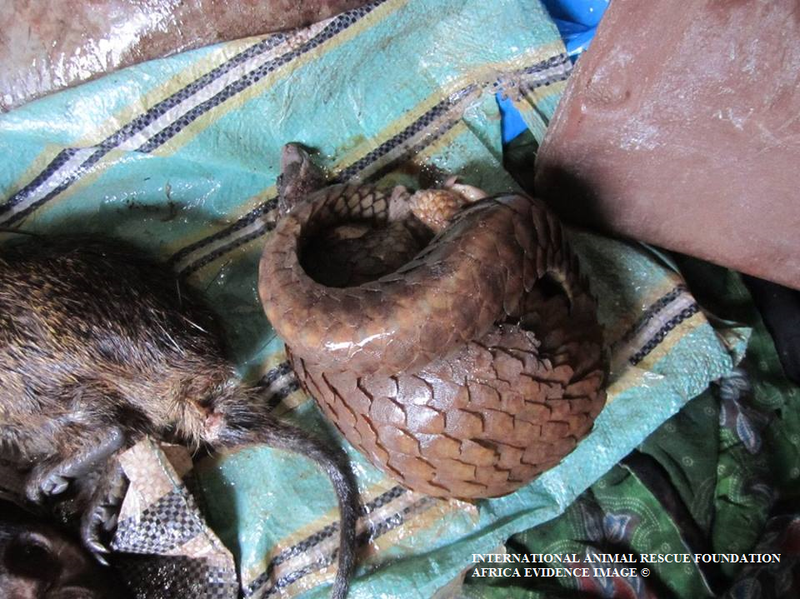 Surveys have to be undertaken, risk analysis, environmental monitoring, and what other methods can be introduced to decrease the illegal black market of wildlife trade. The department of Environmental Affairs issued a ban on all hunting permits to Vietnamese individuals applying for a hunting permit in 2012 of which the D.E.A quoted in their last government public announcement 1st March 2013 that hunting permits that have been applied for in 2012 had decreased significantly by almost 50%. This may sound fair and good news, however this ban was aimed more at banning pseudo hunting from one nation based on the number of corrupt individuals that haven’t even fired a rifle never mind hunting in [Vietnam] from entering in to South Africa. 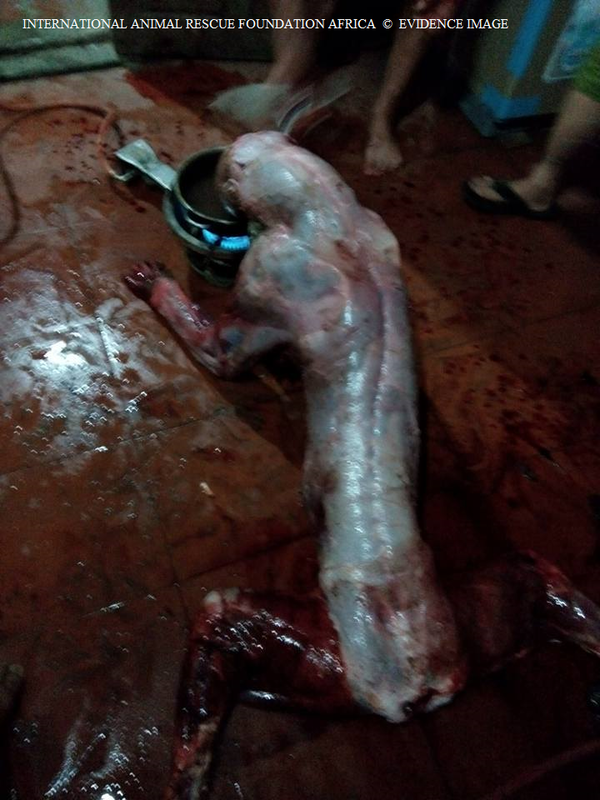 Most of the non-genuine hunters were not keeping the trophies as stated in environmental law then removing horns as explained above thus subsequently selling the real horn on. The trophy they had in their possession had then either coincidentally vanished or the horns had been replaced by imitation horns made from fine resins and/or resin and papier-mâché. We was not expecting the D.E.A (Department of Environmental Affairs) to just ban Vietnamese citizens as what’s to stop a Vietnamese posing as a Chinese or Japanese citizen with fake papers, also what’s stopping them from obtaining fake passports and papers that can and are made to order and online or via black market tourism trade that helps illegal asylum seekers to enter nations using political persecution as a weapon for refugee to then carry commit crime and terrorism. Since the DEA banned hunting Vietnam citizens from applying for hunting permits there has been a substantial increase in the amount of American, Russian and Eastern European hunters now applying which is believed to be the increase of more Rhinoceros pseudo hunting to supply the demand for Rhinoceros horn in Asia. Since the permit ban was placed evidence suggests that nationals from the Czech Republic and Poland have been implicated in pseudo-hunts. Information from the DEA in South Africa indicates that there has been a 50% plus reduction in the number of rhino trophy hunting permits granted and that the number of hunting applications from Vietnam and other East Asian countries has dropped off as explained above. However, there has been a reported rise in applications from Russian and, particularly, US hunters (up by 300% in 2012 so far compared to 2010) possibly indicating the flexibility and opportunistic nature of pseudo-hunting criminal operatives. From 2003 to 2013 those that have been arrested for Rhinoceros poaching alone have been more Afrikaans indicating that syndicates could possibly be working within the refugee camps in Africa posing as refugees then sending the poor man into South Africa from Mozambique. 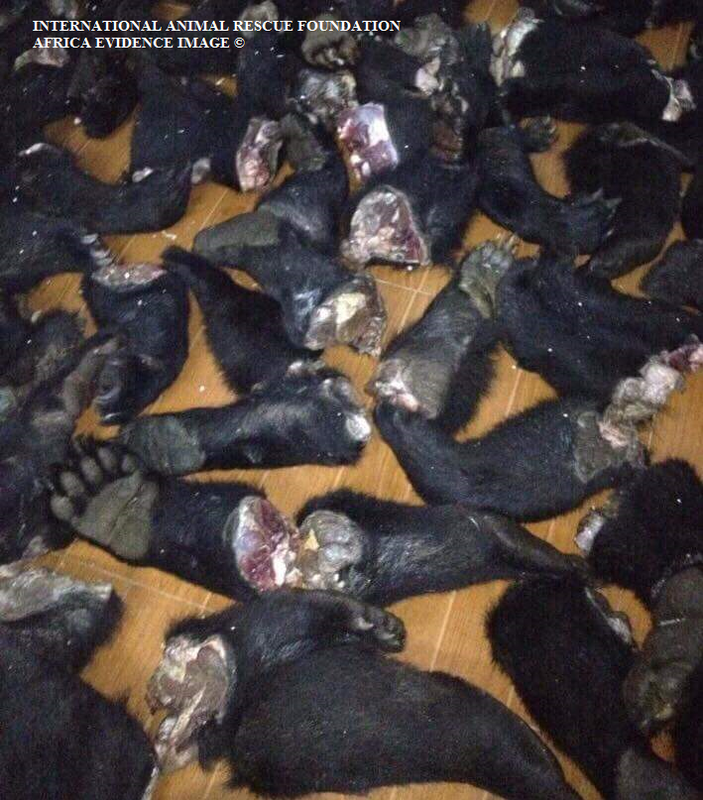 The total number of Mozambique’s that have been arrested is now standing at 479 from 2003 -2012 of which they are the most known poachers, and with the evidence above within the links it clearly shows that Vietnamese are working inside Mozambique which now needs addressing immediately. 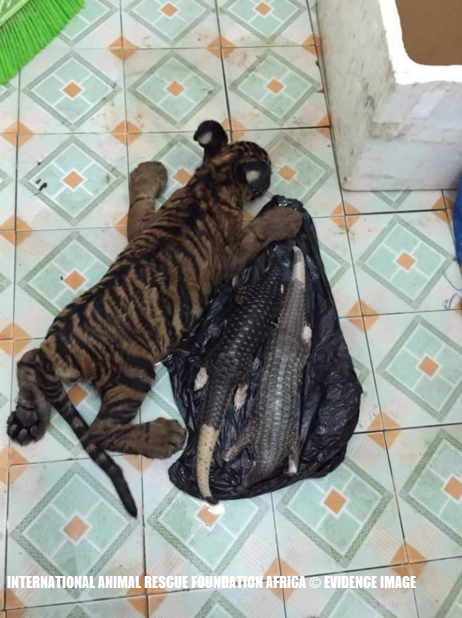 The poacher then supplies the Vietnamese or Thai couriers which consequently keep the demand flowing, although it’s been disrupted slightly. 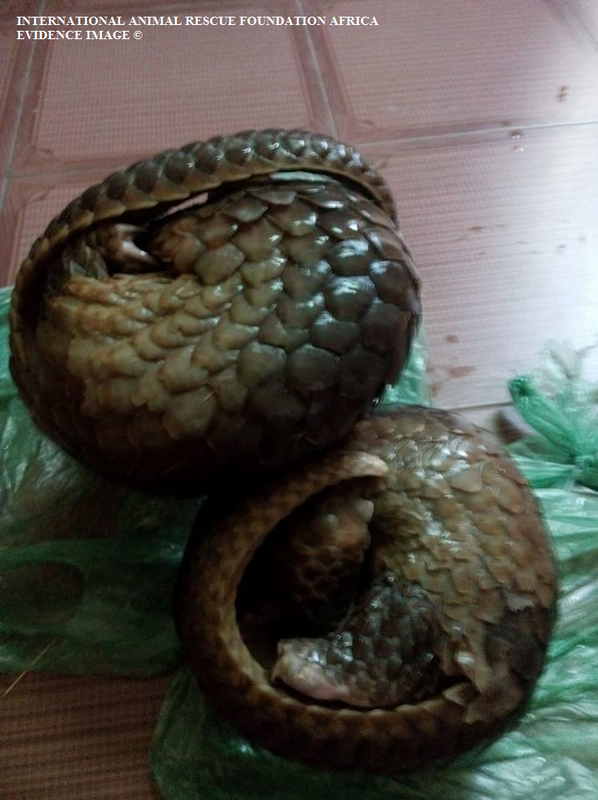 The ban on Vietnamese hunting permits has been a complete waste of time with more poaching increasing via African individuals via Mozambique thus supplying the market more. This could also suggest that should there be a lift of the Rhinoceros horn trade with [controlled prices and trade] then reflection from the hunting permit ban on Vietnamese could increase poaching could as a whole considerably more. Pseudo hunting from US, Russian, Polish, and Czech Republic individuals has increased which if not monitored or some form of control implemented could see the Rhinoceros population’s desolated. 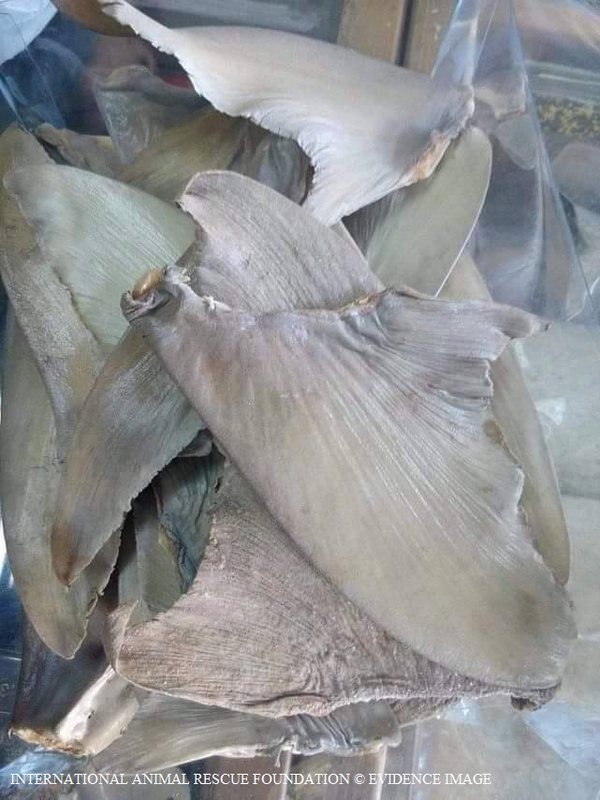 80% of imitation horn is deriving from Europe and America of which is then flooded into Vietnam of which when the buyers and users become aware of the horn being fake this then increases demand more via poaching. Keeping the imitation horn demand flowing too is also increasing the real horn demand both with ivory and Rhinoceros horn. Antique dealers are now cashing in on the horn and again supplying this to the market. Internet trade has to be tackled more where more horn in larger sums is being peddled on classifieds, buy and sell, to private sites using code words, acronym’s and other. 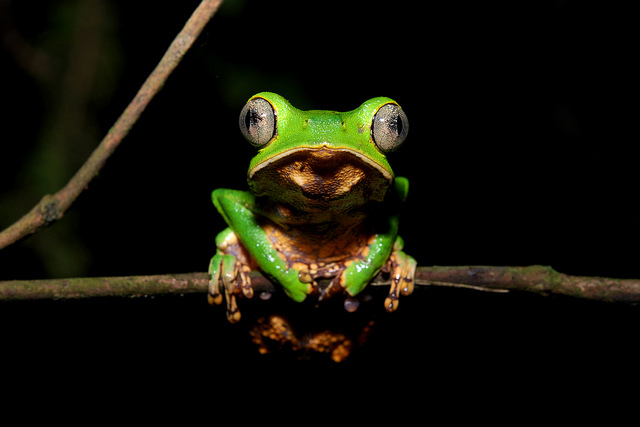 There must be international environmental police established in each of the 178 nations that are listed with The Convention on International Trade in Endangered Species of Wild Fauna and Flora. Peddlers in the imitation horn trade need to be sought and consequently arrested, the chemicals they are using sought and then listed in the same way as agricultural fertilisers and other materials so that should a producer order these chemicals in large quantities law enforcement are then informed which in turn can track those responsible. 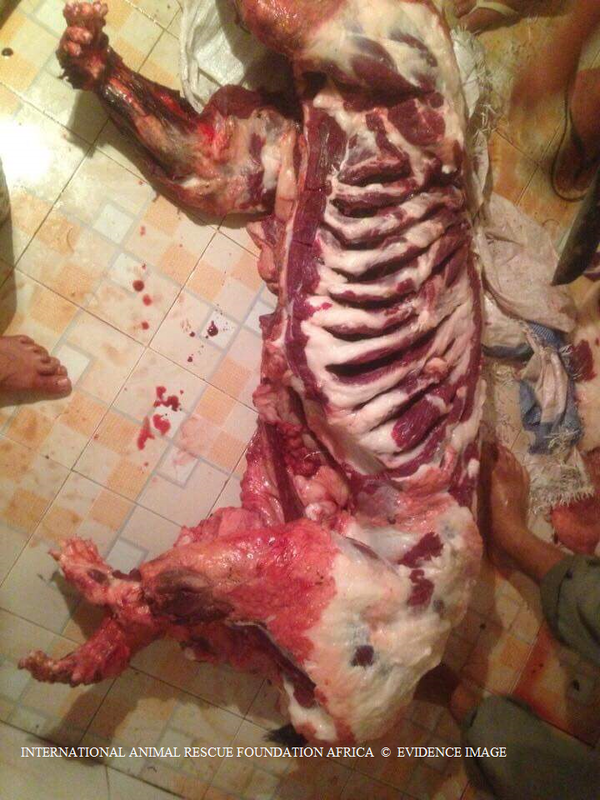 The sales of other trophy horned animals has increased since the ban on Vietnamese hunting permits was introduced. Refugee camps and customs need to be looked in, monitored, and investigated. The sales of imitation and fake Rhinoceros horn’s needs to be taken seriously as whilst this is still in the woodwork it’s creating more demand of which needs nipping in the bud hard with the traders dealt with in the exact same manners as those peddling in the real horn and wildlife trade. 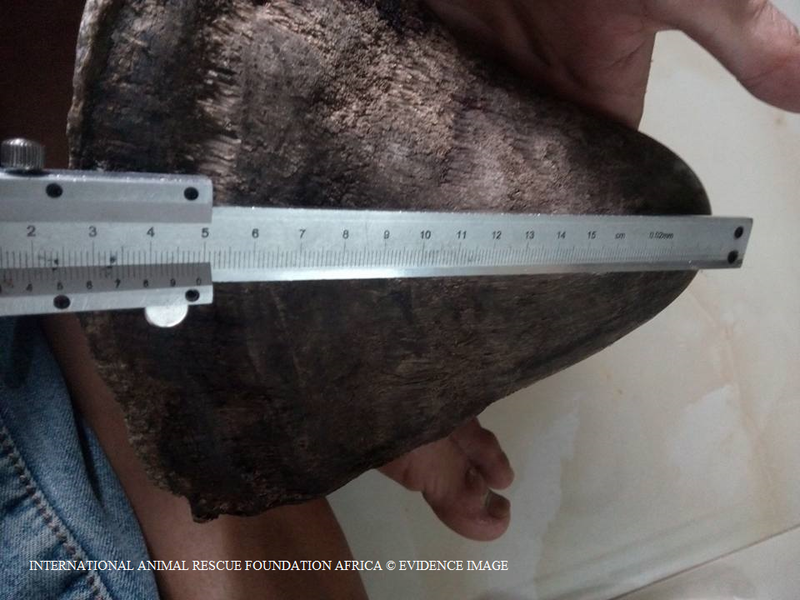 In October City Press reported on a man near Musina, Limpopo, who carved fake rhino horns and boasted that he could sell them for between R15 000 and R25 000 each. March the 2nd 2012 in Johannesburg another seizure of fake horn was seized that appeared to be have blood on it the accident on the N3 near Johannesburg saw two men arrested then subsequently let off. A lot of dealers know they are dealing with fake horn products and as such consider themselves to be ‘legal’. 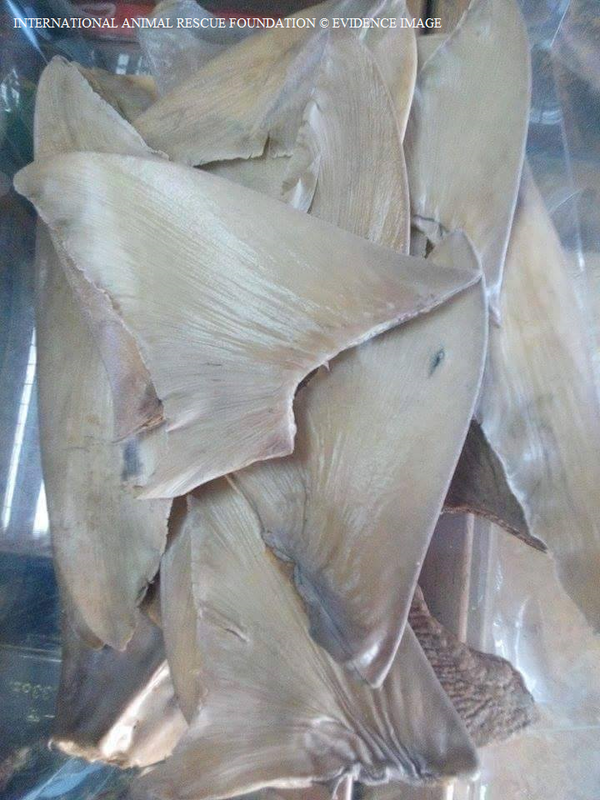 [It’s actually illegal under CITES law to be selling fake or real horn in Vietnam however it is in operation on a high level]. 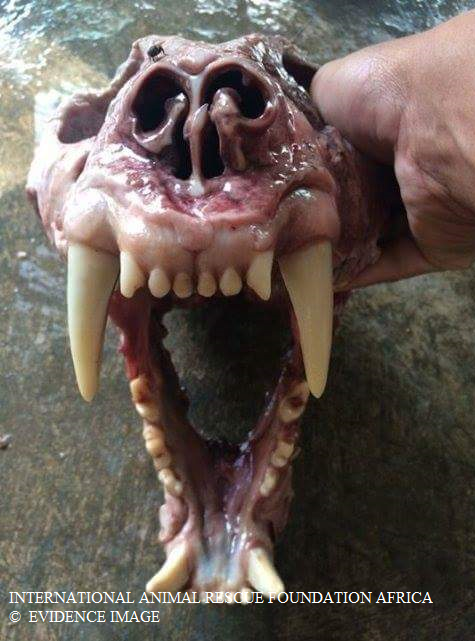 Legal sales of fake horns and skulls are being purchased in the United States, Europe, and Asia that now needs monitoring and action placed. “A wide range of verification methods are offered when questioning the authenticity of horn material. From the density of the material when cutting with an iron saw, to the colour of the ‘milky’ solution when powder is mixed with water or rice wine, shining a sharp torch through part of the horn, burning a corner and sucking in a hairy smell, tapping the horn piece with a finger nail and analysing the sound, pulling off some individual fibres (it seems one of the most reliable ways to try to identify real horn”. “Most of the horn on offer tends to be cut slabs or the tips indicating that it mostly comes from polished and modified water buffalo horns”. “When asked for the easier to identify base of the horn the dealers tell the stories of it being the most valuable part and always sold first and them only having the tips left”. 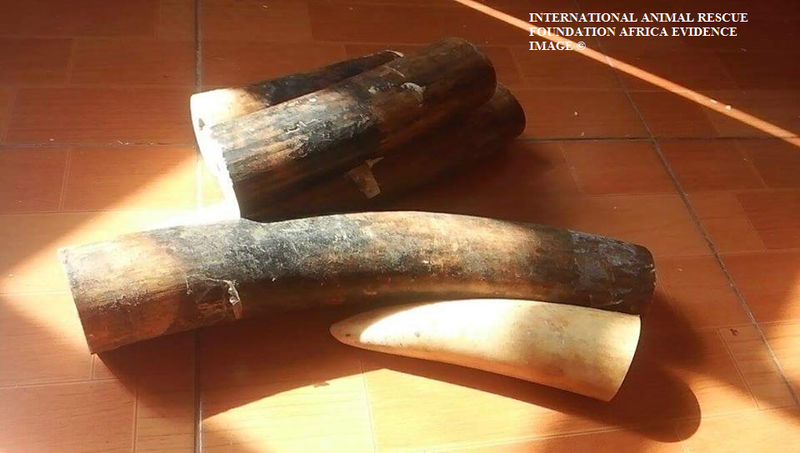 “Prices quoted at the wholesale level to buy a whole or a large chunk of a horn, based on weight, were pretty uniform at U$ 20 000 for African horn and U$ 40 000 for Asian horn per kg (they being much smaller than the African horns). It was clear that with imitation products more flexibility existed in negotiations (in one case a piece of horn was cut from the bigger part with a chisel and hammer and pieces flying all over shop”. “TCM dealers do trade in small quantities and it then it becomes retail and the prices go up (we also bought a sample in commercial packaging in Chinatown in Jakarta which officially stated it being 0.3 grams contained in a small glass vile”. “Besides this retail trade for medicine there is the market of the big players buying whole horns and having special trusted dealers doing the verification for them. These players include the nouveau rich with a Rolls Royce in the car park who buy it as a must have item, as a status symbol and possibly also looking at it as an investment opportunity with supply bound to get more restricted and respective prices going up. On several occasions we were told of a family patriarch buying up a whole horn and then taking care of the family’s need and handing out pieces and powder as needed”. “A dealer in the north of North Vietnam told us that a drug enforcement unit recently visited him and took some of his horn telling him that he would be paid later, indicating corruption in law enforcement on all levels”. “The grinding plates have now also gone “up market”, with a new version made out of special Japanese clay which was introduced recently. The pamphlet which comes with the very fancy packaging also includes images of a live rhino and promises that horn can ‘cure incurable diseases”. “The latest step being the sale of a special contraption supposedly with Japanese motor that can be bought to grind down the horn into powder. The above plate is mounted on a rotating platform and the horn piece is then fixed above the plate into a vice type metal grip and lowered to the rough plate surface and then the machine is turned on, the horn base is stationary on the rough surface and the plate turns. So a whole industry producing accessory items is now evolving”. 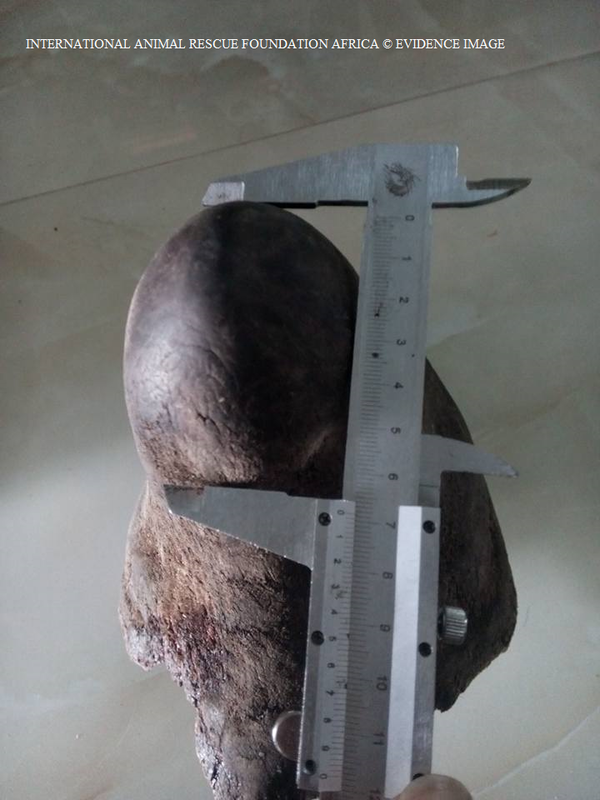 “In the case of the Asian rhino horns on offer, the fakes are much more realistic since the base is generally part of the very small horns but there are also obvious fakes”. 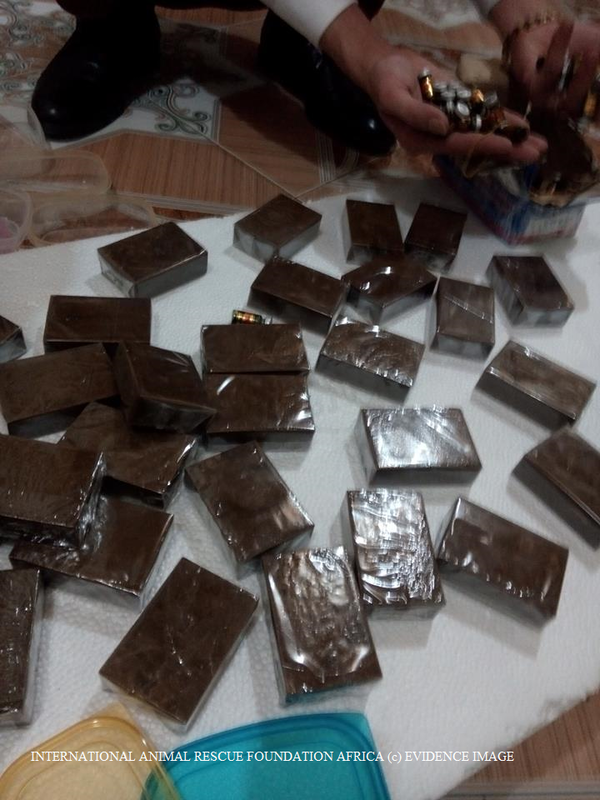 The main import dealers are well established businessmen involved in all kinds of related activities including the trading in other contraband (in one case said reputed to be amphetamines). 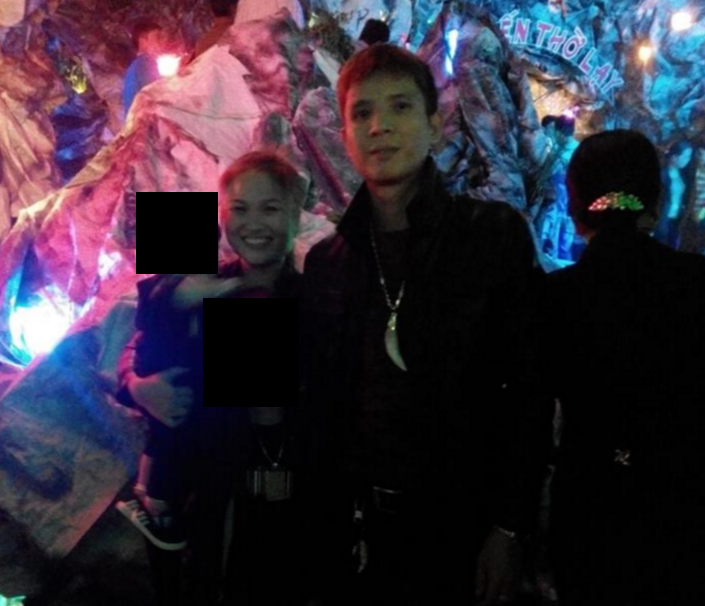 In the case of a key Laotian importer he hands out a business card showing that he is the head of the chamber of commerce for his district and the deputy head of the Laotian boxing and swimming association. 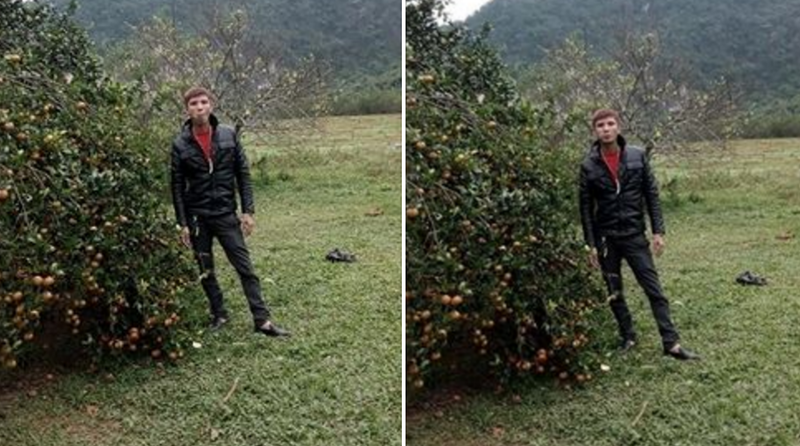 He also operates a macaque breeding farm with primates being sold as captive bred when many are indeed wild caught imports from Thailand and Cambodia – with most of them being exported to the US for medical research. 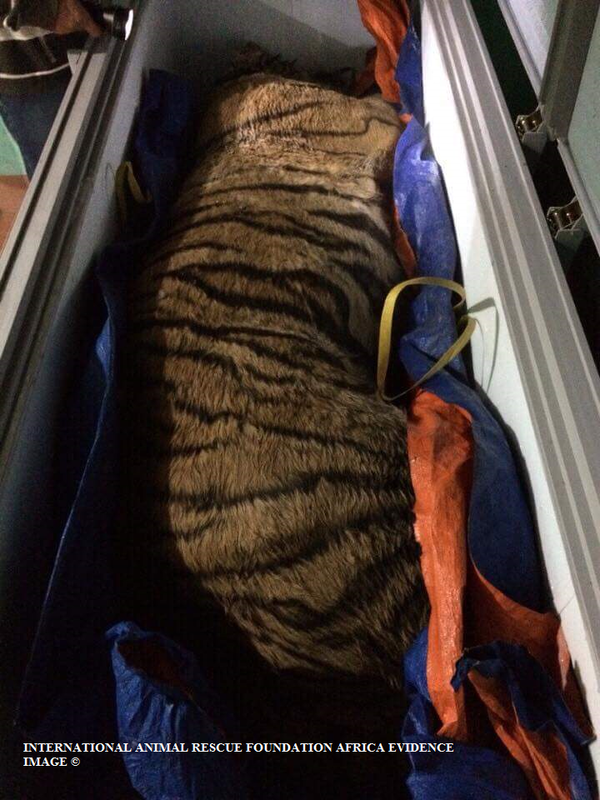 He is also about to expand his tiger farm. 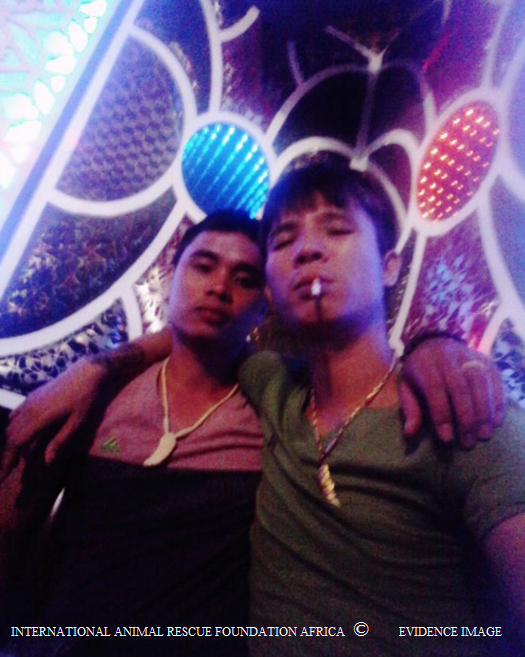 “Dealers on this level often hire ‘mules’, just like with the drug trade, to get the merchandize to their headquarters. If anything should go wrong at the international level they can disassociate themselves from any such transaction and they deal with the product once it is in the country and then they do not have to worry about any potential problems occurring along the borders”. 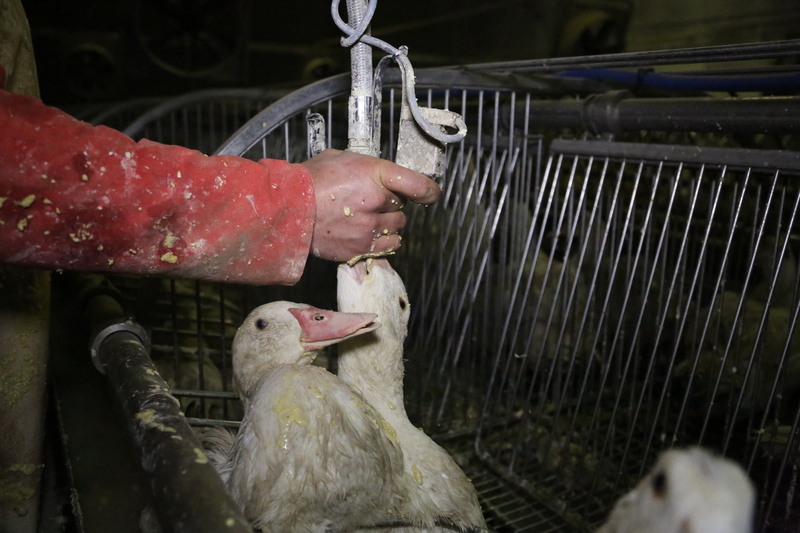 “However even on the international level there seems little to worry about. I recently bought an imitation horn from a US store which produces Bone Clones of all kinds of skulls, human and animal bones including museum quality skeletons. I transported the well done imitation product openly in my check in bag over half a dozen international borders expecting somebody to detect the shape and form on an X-ray machine and questioning me. It never happened”. We must not under any circumstances lift the Rhinoceros horn trade until all of these most crucial avenues are explored and vaporised. Should the trade be lifted and even more Rhinoceros are murdered because of the trade both on the internet and via imitation horn to selling imitation horns and skulls worldwide then we could lose the Rhinoceros species more quicker than imagined with the Elephant unfortunately following soon after. 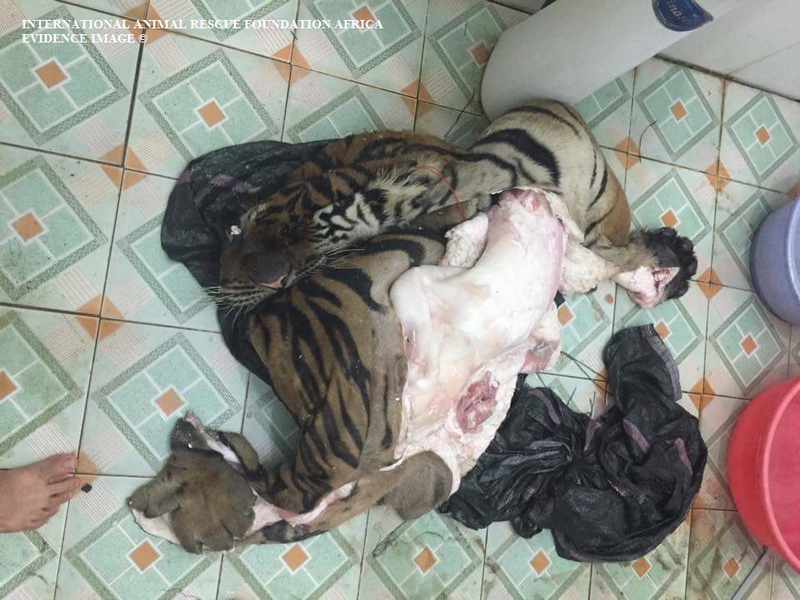 Should one not “understand poaching” and the “increasing demand” to “wiping demand of the plate” then regrettably we will lose this war thus placing other species in danger that will in turn keep the momentum of the destructive wildlife medicine and consumption trade flowing. The video below just shows the amount of disrespect that Thailand has even when the meeting for the CoP summit is under way. 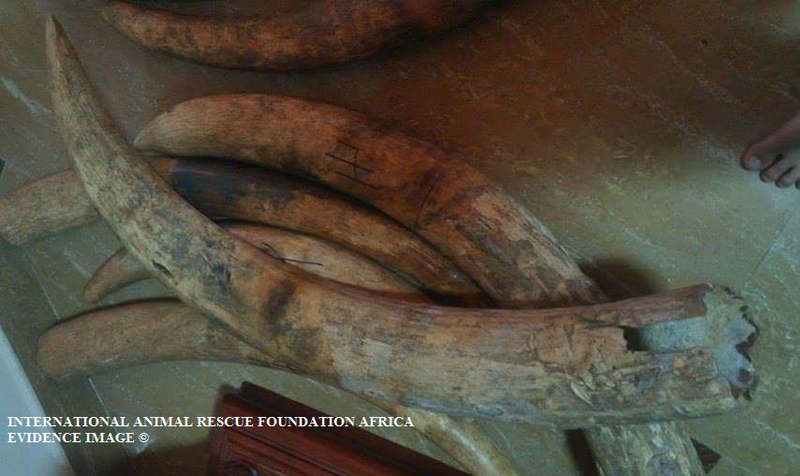 Whilst the meeting was being held this undercover investigation was filmed showing the illegal trade in ivory. Allowing the Rhinoceros horn trade to be made legal will have disastrous consequences, and be shown similar to this. Rhinoceros horn is not medicine. This site is monitored and enforced by anti spamming technology, by spamming your comments are automatically listed and then deleted without being shown on the site. This organisation doesn’t tolerate spam or spam bots. Please read the above before wasting your time.